For those of you who aren’t my mom and grandma, thanks for stumbling onto this blog. Please allow me to tell you a little about myself and the series of stories you have just found. I grew up spending every summer aboard my family’s boat, a 33-foot Egg Harbor, which instilled in me a love for being on the water. As a journalist, I have been fortunate enough to be published in Newsday, Boating Times Long Island, Men’s Fitness, Muscle and Fitness and other regional publications. My passion for writing met my love for boats in my current role as the associate editor of Yachting magazine where I author regular features as well as the Currents, and Gear sections. Scouring Craigslist for months would lead me to find a neglected old sailboat nearby that was being sold for “a steal of a price.” Not knowing a thing about sailboats or sailing, I would purchase the boat with the dream of fixing her up and learning how to sail. This blog tells of the trials and tribulations I have faced since my very first day of boat ownership. 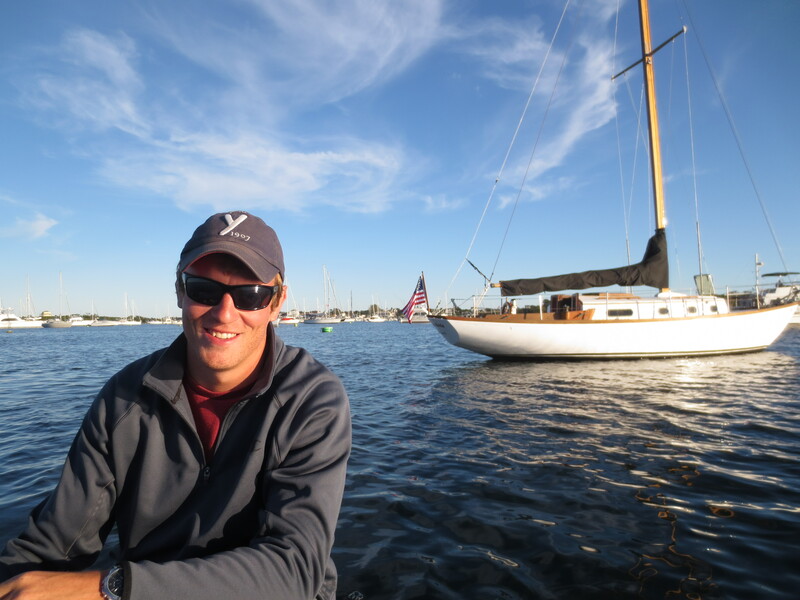 I hope you find this to be an educational, humorous and honest look into the world of sailing and boat ownership as seen through the eyes of a rookie. Thanks so much for stopping in to visit. I hope you enjoy following A Sailing Story. Not sure if you know, but Jim is moving his shop to Bristol you should stop by and wish him luck, You captured the essence of Jim very well. Thank you for reading the blog. I was unaware about Jim’s move; I’ll definitely have to pay him a visit soon.